To create therapies for the betterment of humankind. 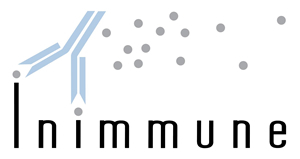 Inimmune is harnessing the human immune system to create next generation immunotherapeutics for the treatment of allergy, infectious disease, autoimmunity and cancer. Our team has over 20 years of expertise in discovering and developing safe and effective immunomodulators that can be used for the treatment of a wide array of diseases and disorders. We have a proven track record of innovation, intellectual property generation, effective collaboration and sourcing of external funding to drive our immune therapies forward.